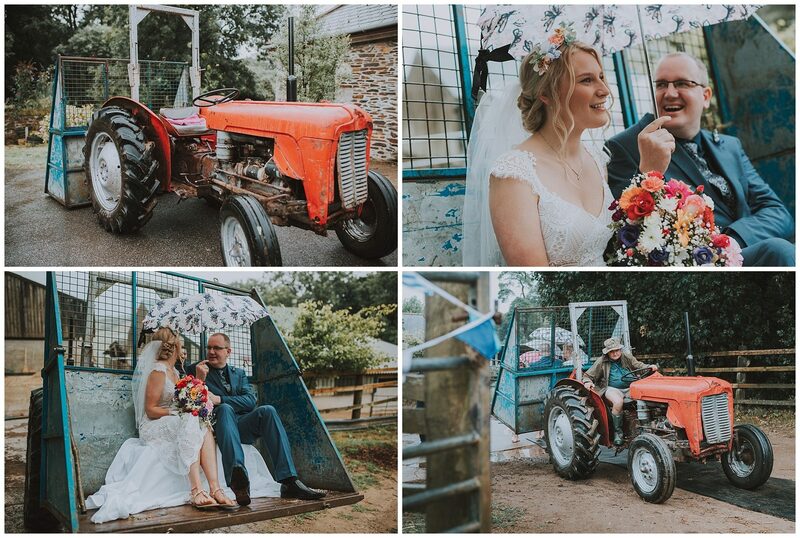 If you like rustic farm, barn style weddings in Cornwall then Woodland Valley Farm is the perfect venue for you. 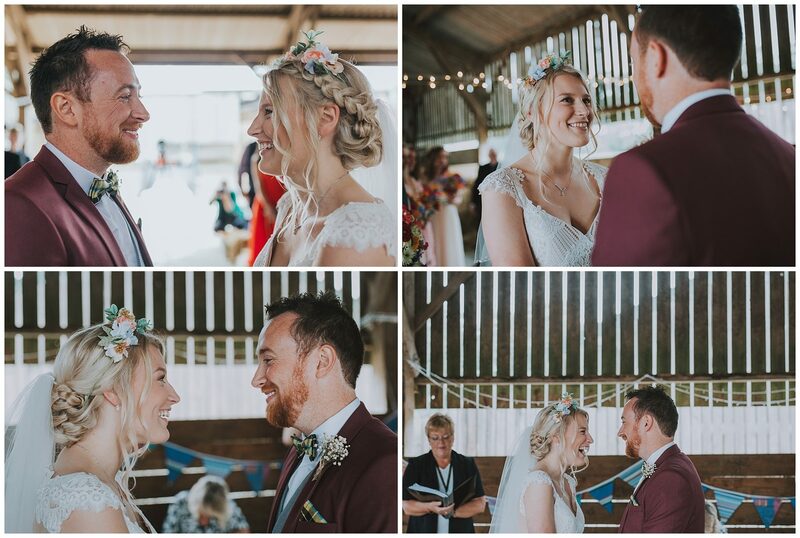 I’ve been lucky to photograph weddings here many times and each one is so different. 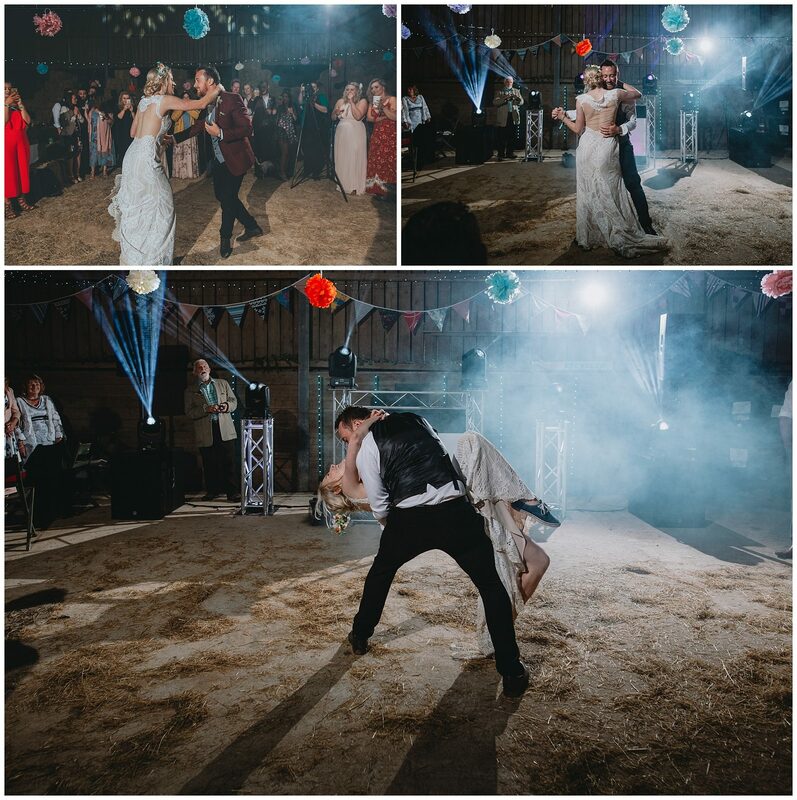 It’s a working farm for most of the time but it doubles as a venue a handful of times throughout the year. 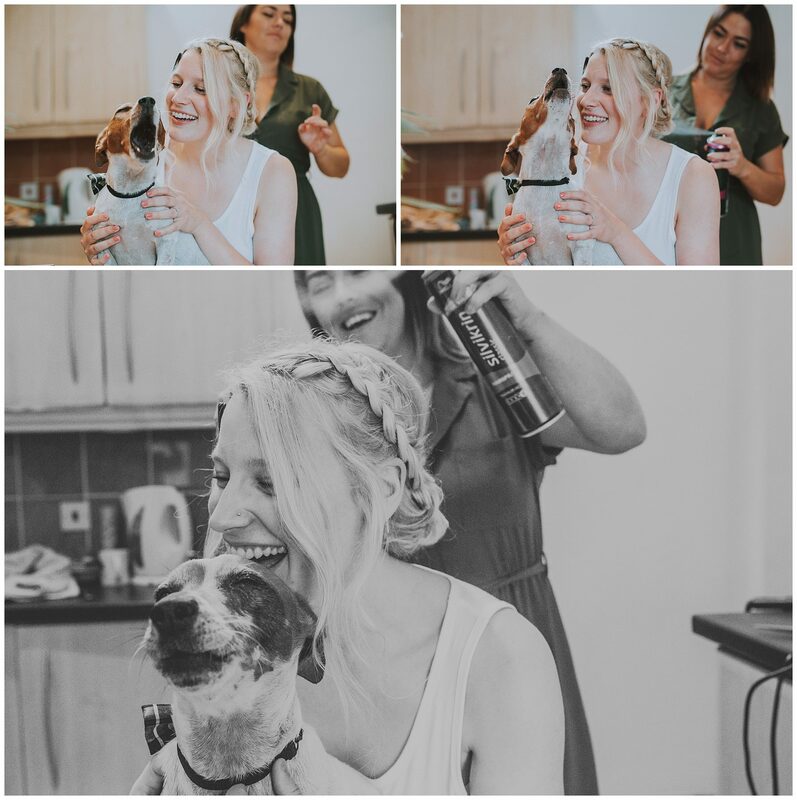 They needed a dog friendly venue for Sadie and Owens dog, Biscuit who is a very important member of their family. 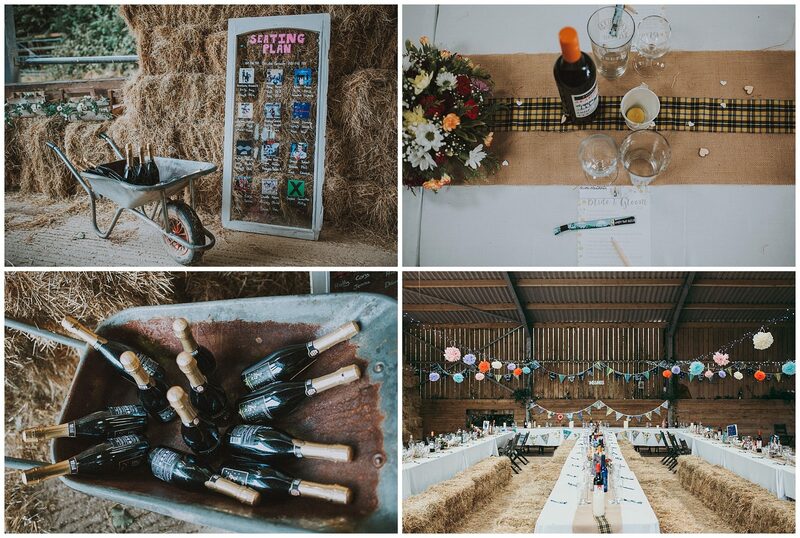 They had done a fantastic job decorating the venue in a rustic style. 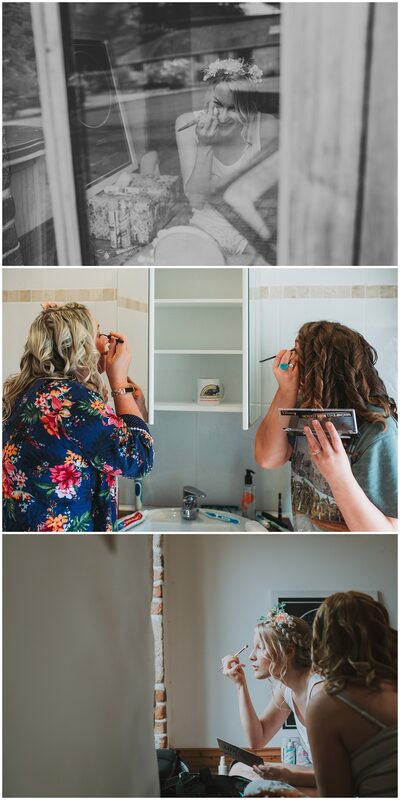 Sadie and Owen happen to be within my circle of friends so I was honoured when they told me that they wanted me to be their wedding photographer. 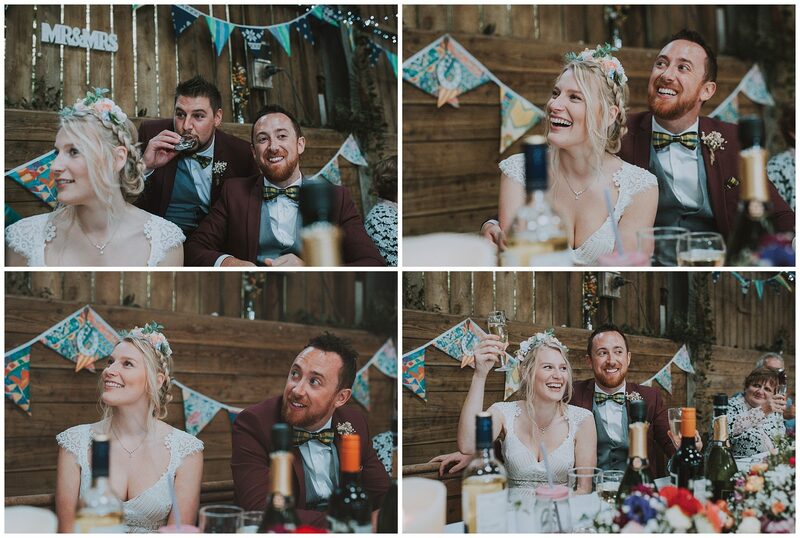 They are such a lovely couple and I knew photographing them would be so easy. 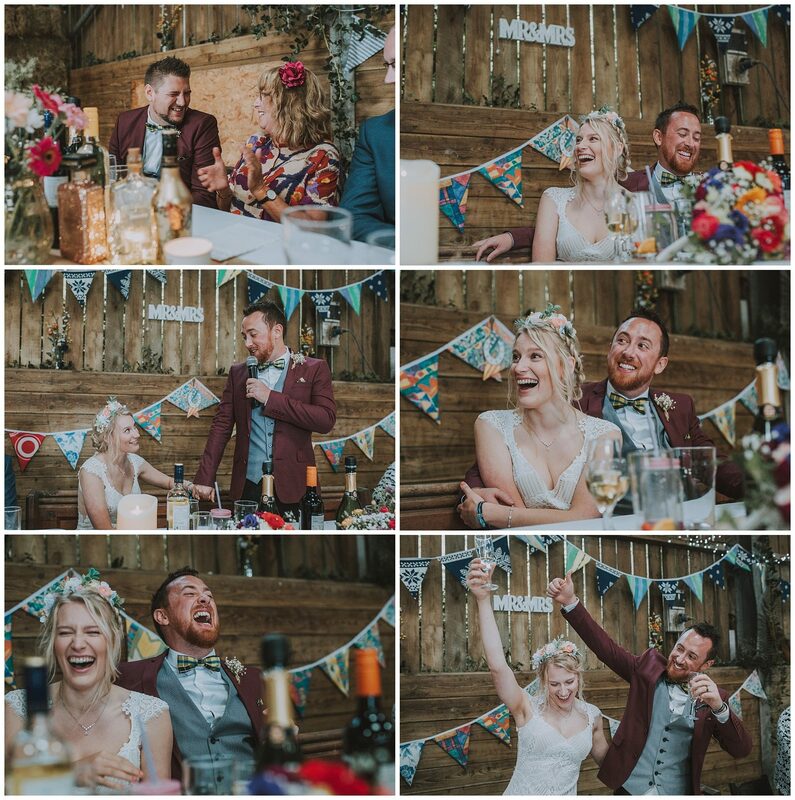 We shot an engagement shoot a year before the wedding and they were such a pleasure to photograph with so much laughter and genuine love to each other. 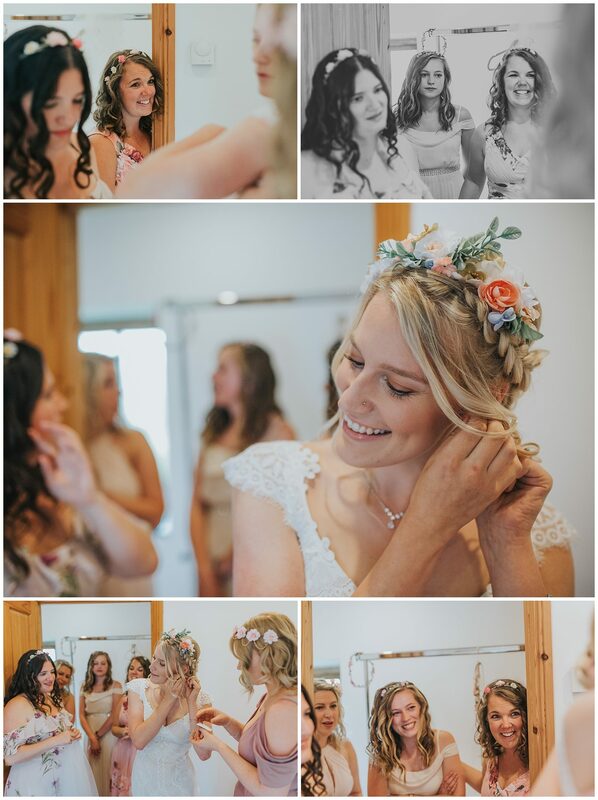 The wedding was just as beautiful to photograph. 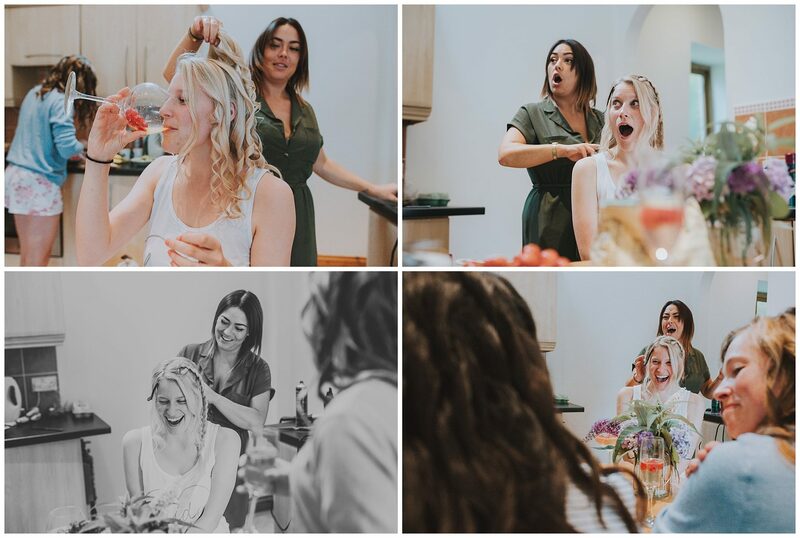 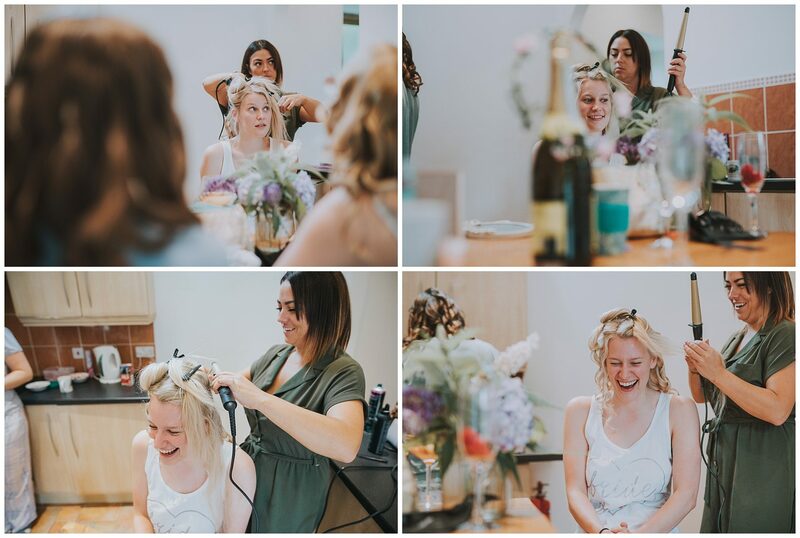 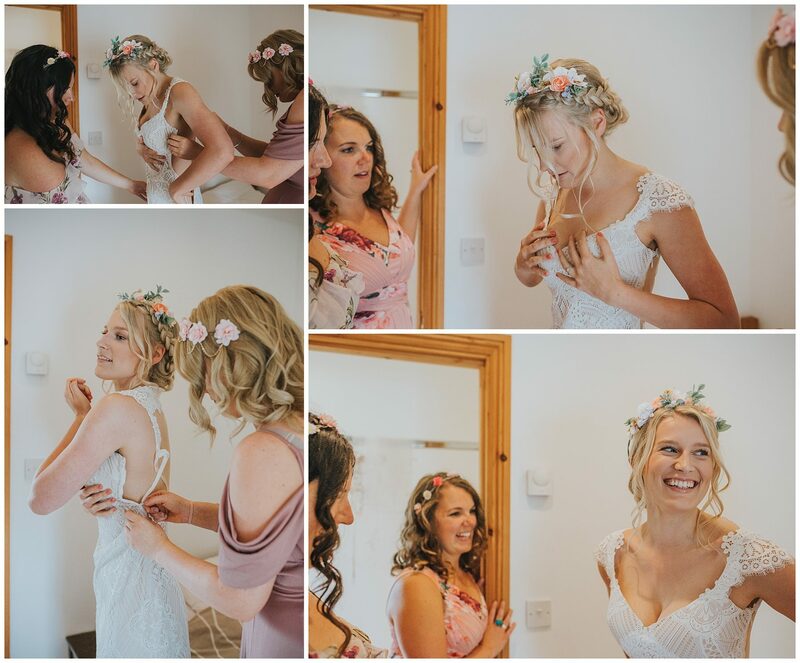 From the bridal preparation up until the dancing, the day was filled with so much happiness. 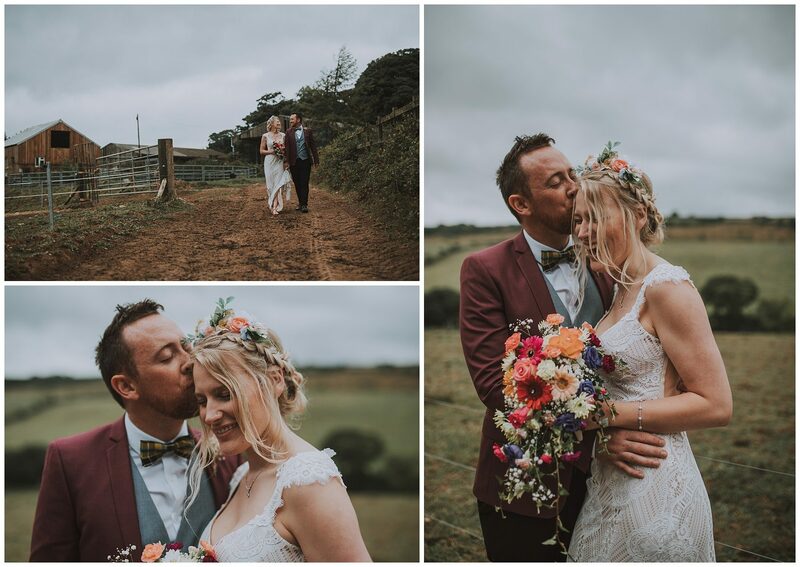 Despite the weather forecast, we were incredibly lucky that for the short period of time it stopped pouring with rain, it cleared up for a couple of hours in between the ceremony and reception which was perfect for photos outside. 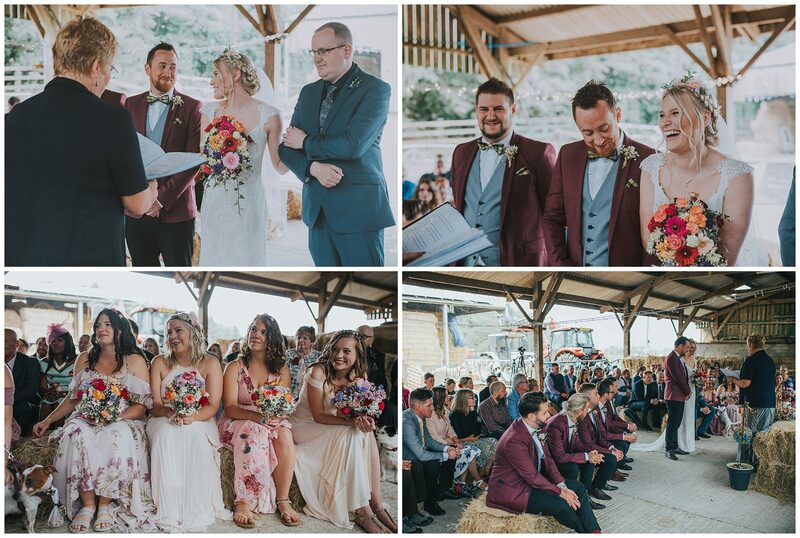 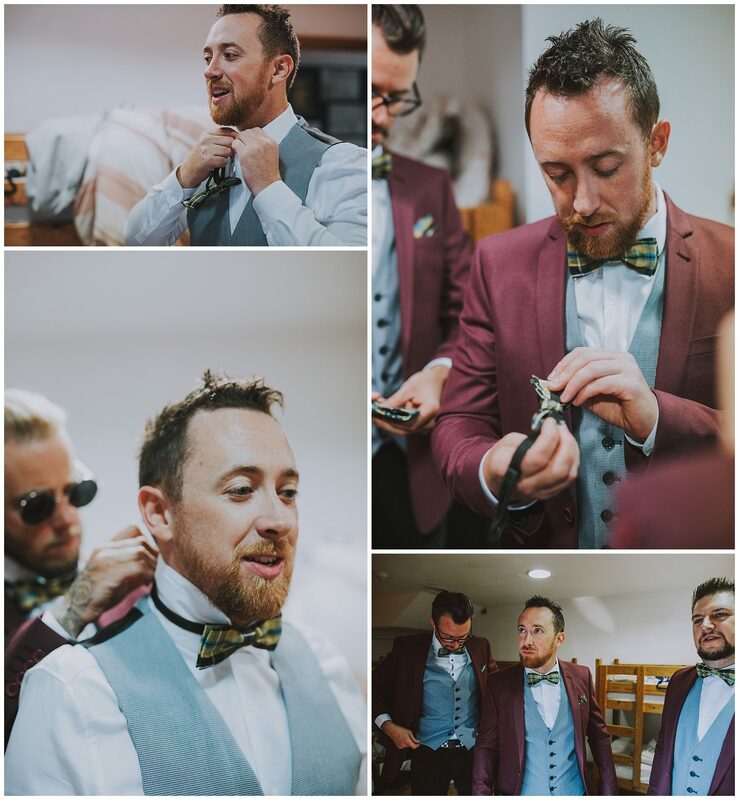 It was one of my most enjoyable weddings to photograph and that was due to how fantastic Sadie and Owen were to photograph as well as the beautiful rustic, barn, farm style wedding venue in Cornwall. 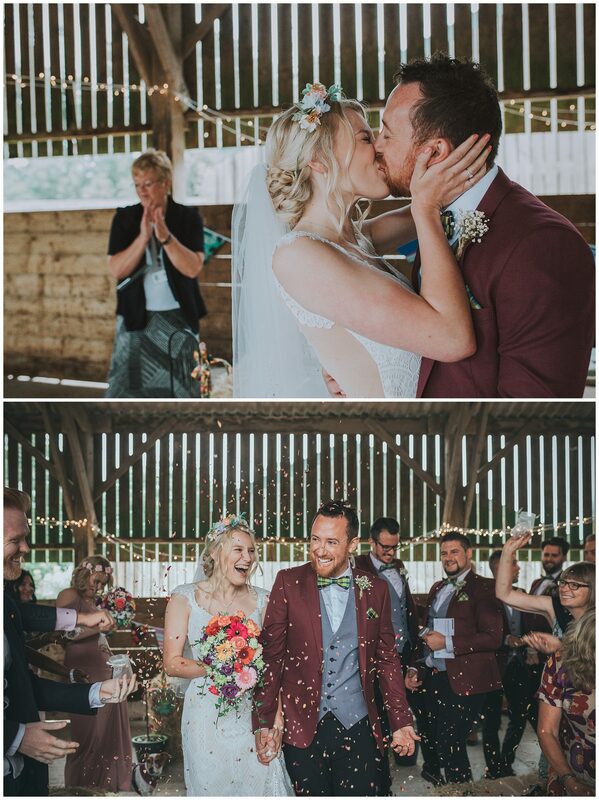 Sadie and Owen were clearly meant to be together and I wish them such a long, happy and healthy life together and it was an honour and a privilege to be part of their special day providing the wedding photography.